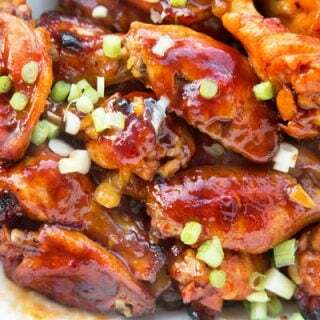 You'll love this easy to make Garlic Ginger Chicken Wing recipe using my favorite mixer 7UP. Enjoy these delicious wings in less time than getting take out. I love food, and some days I find myself daydreaming about what I consider to be the perfect foods. Foods that love you unconditionally, no matter how you cook them or serve them. And I do believe that chicken wings are at the top of my list. Oh sweet chicken wings, how do I love thee, let me count the ways…..sigh. I’ve found a new way to serve my wings that also includes my favorite mixer and childhood friend 7UP. 7UP is so versatile, not only can it be used in your favorite drinks or simply straight up over ice. 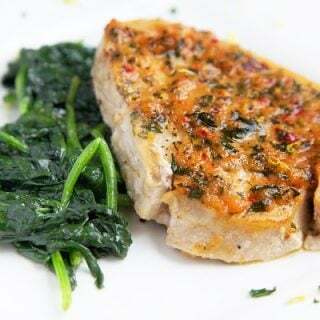 It makes a delicious marinade and can be found in many families baked good recipes that have been passed down for generations. I like to start my recipes by gathering all the ingredients I need before I begin. In Chef Speak, we call that a Mise en Place which translates into Everything in its Place. Experimenting with flavors is a fun way to enjoy your time in the kitchen. And recipes should be thought of as guidelines for you to follow. If you don’t like a certain ingredient or flavor, replace it with something you do like. That’s a sure-fire way to make sure you enjoy the foods you’re cooking. Although there’s a lot to be said for trying new flavors, and the rule of thumb is to try it three times before you decide it’s not for you. 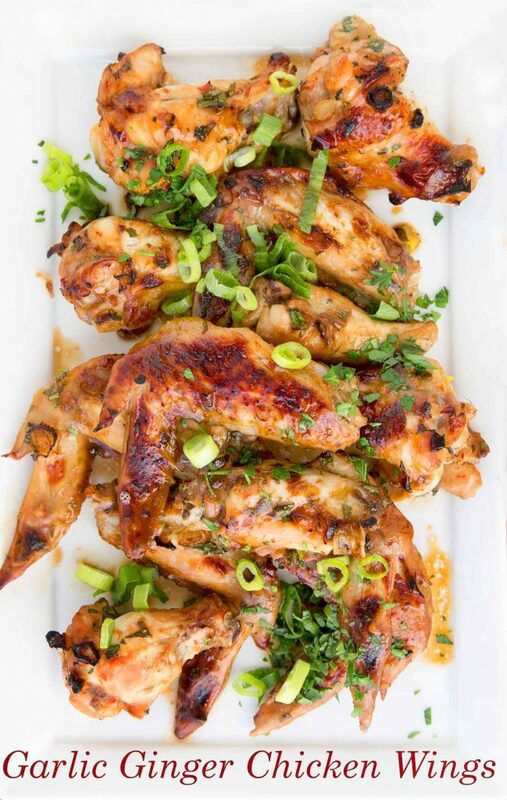 These Garlic Ginger Chicken Wings came together in my kitchen due to some of the ingredients I already had on hand. Don’t be afraid to look in the fridge and see what you can make with what you have. But be creative, step outside the box and experiment. 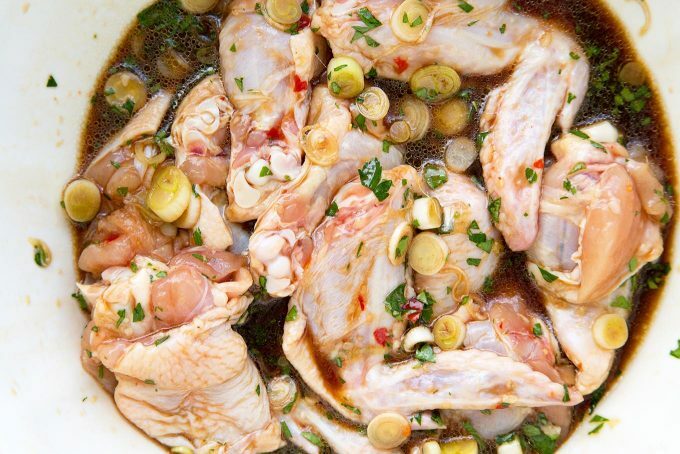 Marinating proteins is a delicious way to impart flavors to the foods you cook. 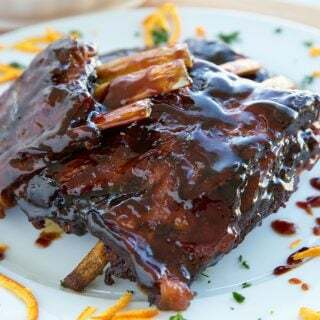 Some proteins need to marinate longer, but 20-30 minutes is usually enough to add flavor to your what you’re cooking. For my recipe, I used regular 7UP, but you can use ginger ale, club soda or sparkling wine. Combine all ingredients (except scallion greens and half of the cilantro) including wings in a large bowl. Let wings marinate for approximately 20 minutes to 30 minutes. Preheat oven to 425 degrees. Place wings on a lined cookie sheet with marinade poured over wings. Bake for 25 - 30 minutes, or until wings are deep golden brown and crisp. Place wings on serving dish, spooning pan sauce over them. I made these last following the recipe (except no cilantro) and they turned out good and so tasty! No leftovers kind of good. There is nothing I’d change in the recipe and I will definitely be making them again. 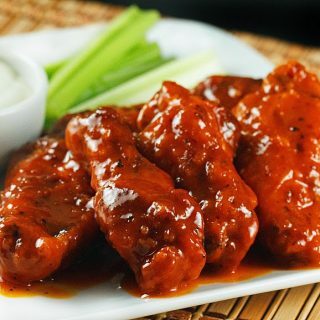 they are one of my favorite wing recipes! Thanks for the great rating! When you say red pepper, do you mean sauce or flakes? In the photo of the ingredients there appears what looks like sriracha. My husband is making wings tomorrow. I am going to see if I can convince him to use your recipe. They look amazing! 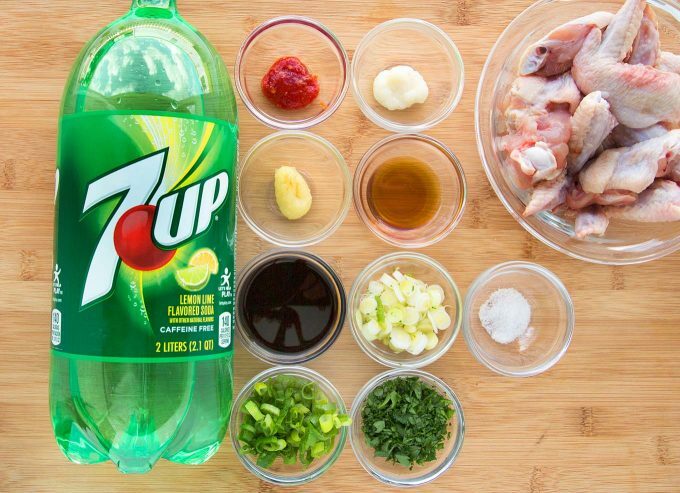 I use 7up when I make adobo, chicken or pork, it is a really good compliment to the meat and dish in general. It’s also good in making tocino. These sound so good! I have actually been craving chicken wings for a while now. 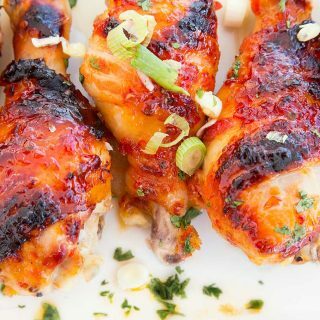 I LOVE chicken and am always looking for new recipes! I need to try this asian garlic ginger chicken! Ohhh I love ginger! I bet my husband and kiddo would both love this recipe. Going to bookmark it! As an Asian, this is making me drool. 🙂 Definitely going to make this. Thank you for the recipe. Saving it! I want these chicken wings for lunch and dinner every day! They look incredible with all the flavors I go crazy for! The wings look so good. I have to give them a try. I thank you for the new vocabulary, too! Mice en place will now be added to my vocabulary! I don’t eat meat, but my family does and they would love this! Maybe I’ll make it for them. Can you just come cook for me?! Ha! I am going to have to try this recipe. Sounds delish! Those chicken wings look awesome. The combination of garlic and ginger is always a hit! I gotta try this recipe. We are having freinds over next weekend and this looks like a perfect recipe for us. I have been scouring the internet attempting to find something that would work for everyone’s diets and palates, I think I found the winner! We just got an air fryer and it makes even crispier wings! Great for smaller batches, like when cooking for two. This recipe looks amazing, like all your recipes! These look so good! I tend to love anything with garlic. I need to give these a try for sure. I’m a wing afficianado. I love Asian wings, but I have never tried using 7up for the sweetener. Interesting! my husband is a HUGE wing fan but i never thought to make them garlic and ginger! this looks super easy to make too so i might have to grab a few of these for the big game this weekend! thanks so much for such a great recipe! I always gather my ingredients before making a recipe too. It makes it so much easier. 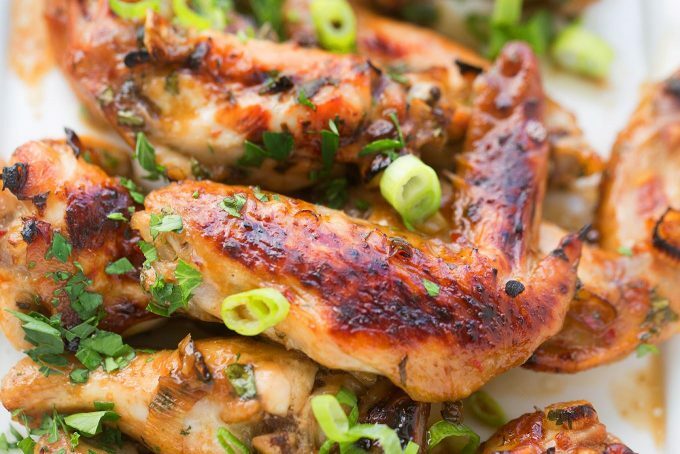 Your garlic ginger chicken wings look amazing. I need to include these at my next party. This is something I can make when hubby isn’t going to be around. He loves chicken but the garlic and ginger just tear him up. Rest of us would love this chicken recipe. Just made these!! Absolutely wonderful. Got half still marinating in the fridge (nom nom). 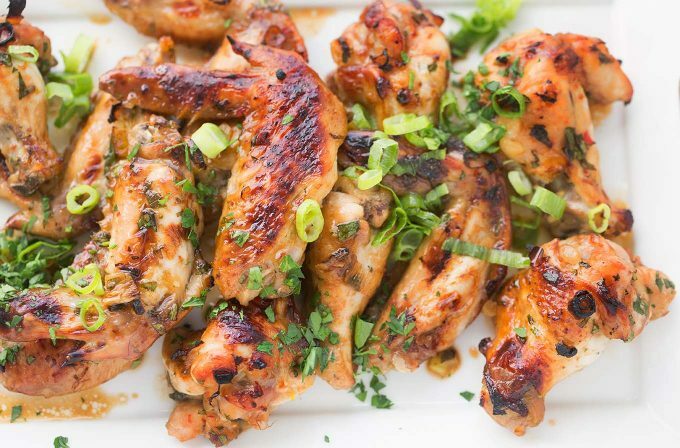 This is definitely my go to recipe for chicken wings now! I love hearing that! Thank you Naomi! 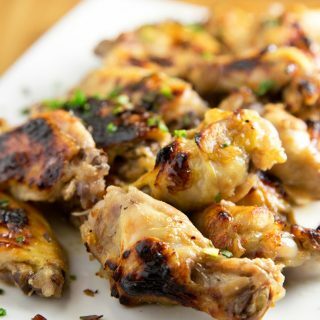 I just made your garlic ginger chicken wing recipes and they turned out great. I love it! 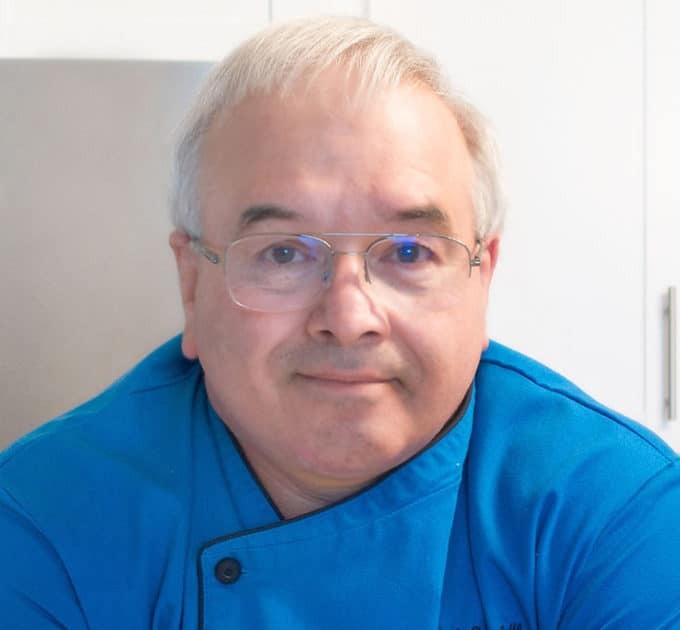 Thank you for this Chef Dennis. Dang Chef! As always these look absolutely amazing! Perfect for a game day appetizer! Yes! Especially if the game is Soccer or the game of life. Got to eat. Dennis, my hubby is going to love these. (Me, too.) Bonus points for a lil’ leftover 7-Up for his whiskey 7’s and “7 Up Salad.” (Remember that unlikely Jello combo?) Actually, it may pair well with all of the above. 🙂 Personally, your garlic and ginger and “crispy” photos appealed to me. YUM!